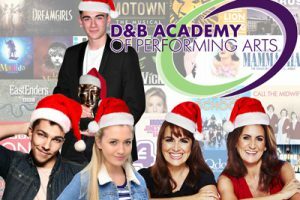 With over 25 years’ experience, D&B Management is one of London’s leading child and young adult’s acting agencies. Our agency continues to place children in featured TV, film and theatre productions. The reputation of our acting agency has been built on complete honesty and solid relationships have been established with various casting directors. D&B Management represents a wide selection of bright, energetic and talented children and young adults from all ethnic backgrounds. Our clients attend regular workshops so we as agents are aware of all our clients’ strengths and capabilities. D&B Management, the agency, works in close harmony with education authorities in the case of minors and will only become involved with work that will benefit artists. We offer DBS checked chaperones for our younger performers, when parents or guardians are unable to attend auditions or be on set. All of our clients appear in the Spotlight Children & Young Performers directory. This is a secure and protected casting directory used by production teams to source child artists for TV, film, stage or commercial work.